#LookBeyond is a campaign to reduce stigma and increase understanding, support and positive attitudes toward people throughout Kalamazoo County who are living with and/or are affected by: Mental Illness, Substance Use Disorders, and Developmental disabilities. We’re asking all of Kalamazoo County to get involved. This includes: schools, municipalities, service providers, faith communities, public and private organizations, businesses and all individuals. 1 out of 5 Americans experience mental illness. In Kalamazoo County, that comes out to about 52,000 people (2016 population: 261,654). Roughly 15 percent of children in the United States — or about one in six — have a developmental disability (including ADHD and Autism Spectrum Disorders). Why do we need to #LookBeyond stigma now? Mental health, substance use and developmental disability challenges have been increasing in the U.S. These challenges affect thousands of people in Kalamazoo County. They are all potentially subject to stigma, as well as their families and caregivers. Stigma has RIPPLE EFFECTS. For our community to thrive, we need to address it. By reducing stigma, the entire community can benefit in areas like health, education and overall wellbeing. KCMHSAS is proud to have provided direct service to thousands of individuals for over 50 years in our community. With #LookBeyond, we hope to also address SYSTEMIC CHANGE that will improve the lives of the populations we serve – and the larger community as well. Six people in Kalamazoo County share their experiences of stigma in our new video. Learn why they believe it’s time to #LookBeyond. Rally with us to rise above stigma! Become an official Stigma-Free Zone: It's FREE! Whooooooo are Opal & Oswald? Our new mascots! 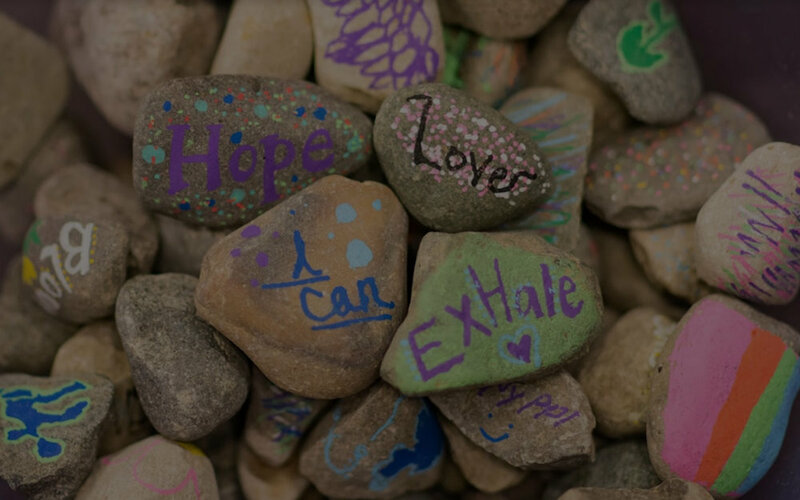 #LookBeyond is a project of Kalamazoo Wraps System of Care and Kalamazoo Community Mental Health & Substance Abuse Services (KCMHSAS). It’s partially funded through a grant from the Substance Abuse & Mental Health Services Administration (SAMHSA).